Foreign Exchange is the process of changing currency from one currency into another, due to various reasons, trading, tourism or commercial. These are the three main reasons for currency exchange. Forex market traded of around $5.1 trillion in a single day. Foreign exchange market is the largest financial market in the world, the forex market is larger even than the stock market. Many people have a good skill of risk management and analysis but they hinder to enter into this market because they feel that they will lose all if they invest in the forex market. 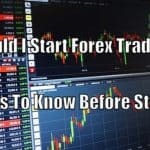 So, Should you start Forex Trading or not? Starting in the forex market is always complex. Whether you should enter into this market or not it totally depends upon your mindset and mental resistance. It also depends upon your risk management skills. If you have these skills, you should start forex trading after learning the basic concepts of the forex market. 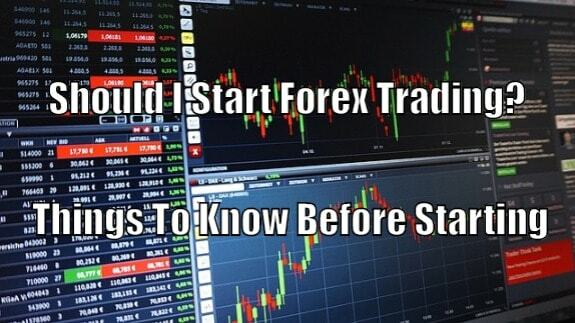 For a beginner, it is advisable to first start with gaining knowledge of this market. 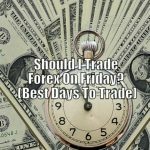 You can learn about this market from various sources, you can read articles on forex trading and forex market and there are numbers of other sources available for gaining knowledge about this market. You cannot learn as much effective as you will learn while you implement your trading skills practically. 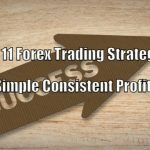 Forex trading books, courses, articles etc. are limited to theory, you can’t test or implement your trading skills with these sources. To test your trading skills, you should try out the trading platform. But, as a beginner and due to insufficient knowledge of the market, you cannot afford to risk a big amount of money. Fundamental analysis in the forex market is the market analysis consists of different fundamental factors such as inflation, Gross Domestic Product (GDP), manufacturing and production, economic growth activity etc. Fundamental factors play an important role in studying the strength of the country, it also helps in predicting the forex market based on these fundamental factors. Technical analysis helps in estimating the future price movement in the forex market. The future price is estimated based on the analysis of the past market. Technical analysis consists of identifying the repeating pattern and estimating accordingly. A forex trader can rely on the price chart, volume chart and other mathematical representation of market data to discover an ideal entry and exit point. Sentiment analysis is the type of forex analysis which concentrates on indicating and measuring overall psychological and emotional state of all traders in the forex market. So, What are the other ways through which you have concepts clear regarding this market and also test out your skills practically? 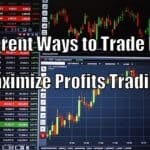 Here are two effective ways, through which you can gain practical knowledge of this market as a beginner, without risking a big amount of money. Demo account works as a sample trading tool, it is funded with fake money. Demo account is the best way to enter into the forex market. For investors, who do not have any trading skills and are aware of forex market concepts, using a demo account is the best option for them. The use of a demo account is not limited to new traders, but it is also used by existing traders. How? Generally, forex traders use the demo account when they want to test out the service and effectiveness of the broker’s platform. Another use of a demo account is to test out the new method of trading. Forex traders generally do not test their new method on their live account because it is risky to implement the new strategy in the live account, there is no guarantee for success. 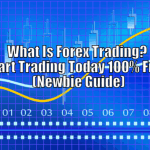 A new trader could gain practical knowledge of different terms of the forex market. One of the main advantages of using a demo account for learning forex trading is, demo losses don’t feel real. In trading, it is very important to have emotional and risk management skills. But, through the demo account, you cannot adopt risk management or emotional management skills. Hence, the demo account is limited to brand new traders who are aware of forex market concepts. Due to some roadblocks in using demo accounts, a new trader can also improve his practical implementation skills with micro forex trading account. It is advisable for brand new traders to open micro forex account after testing out the demo account because it is helpful in improving knowledge about the forex market’s basic concepts, such as pips, long positions. short positions etc. Money trading instructors often suggest you open a micro forex trading account. 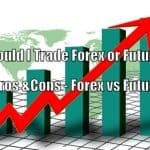 As forex demo account consists of many hurdles, micro forex account is another solution for new traders. Small/micro forex trading account allows you to start trading with the least amount of investment. As you cannot learn other practical and important skills through demo account, micro forex trading is the best way to learn those crucial skills practically. Demo account does not train the brand new trader for the adoption of risk management skill, it is generally made for sample trading or testing before entering to the live account. Adoption of risk management skill is important in forex trading, as a trader, you should learn how effectively you can decrease the size of a potential loss, at the same time, how effectively you benefit by getting the most out of single trade. Micro forex trading account helps you in adopting the skill of risk management. Micro lot forex trading provides you more knowledge as compared to sources like courses, articles, books etc. because here you apply your trading strategy practically. 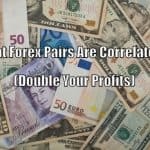 Mostly, micro forex accounts don’t have the minimum deposits, while standard forex trading accounts generally have the minimum deposits of $10,000. Standard accounts are generally used by large traders who invest big in this market. Micro forex trading account is more effective than the demo account, for beginners. Demo account is effective for brand new traders who do not have proper knowledge of this market. A trader can switch to the micro forex account after learning basic concepts of the forex market and testing the service of his selected broker. Starting in the foreign exchange market is complex. As a new trader, you are unaware of this market and its concepts. There is an abundance of knowledge available on the internet to learn some basic concepts of the forex market in detail. You can also test a demo account to learn its basic concepts practically. You should start forex trading or not, totally depends on your mental resistance and your mindset. You can also use demo account and micro lot forex trading account to learn basic concepts practically and also to implement & test out your trading strategies.